Pangong Tso lake in Changthang region of Ladakh has emerged as one of the most wanted places to visit among domestic tourists in recent times especially after the Bollywood blockbuster “3 idiots”. Now, in India, one can see a lot more movies and advertisements being shot around this mesmerizing lake. A huge number of tourists visits Pangong lake in the summer months, making it one of the top travel destinations in India. This slat water, a beautiful ocean-like lake is about 5 km wide at its broadest point and about 134 km long with about 60% of the length extending into Tibet. During winters the lake freezes completely, which itself is a great sight to witness if you have seen the other aqua / blue colors of this pristine lake. Since it is near to the Line of Actual Control, you need to get Inner Line Permit to visit Pangong Tso, both as an Indian and foreigner. There are only a couple of cemented accommodation available around the lake and the facilities like electricity, medical aid, hot running water, western toilets etc. are luxury in itself. The lack of oxygen makes survival difficult if your body is not properly acclimatized to its high altitude and hence, one need to plan his/her journey extremely carefully so as to avoid acute mountain sickness. So, even though Pangong lake tourism is at is peak, it is important to plan your trip to this high altitude place properly. This travel guide will help you with it. Pangong Tso lake is located about 170 KMs from Leh town of Ladakh district in Jammu & Kashmir. You can make either a day trip from Leh to Pangong Tso which will take you about 13 hrs of travel or you can make a two day trip to Pangong Tso from Leh. Pangong Tso lake is one of the high altitudes lakes of India Himalayas at a staggering altitude of 4350 Meters or 14270 Feet and is the biggest of all lakes in Leh Ladakh. In general, the best time to travel to Pangong Tso lake is in the summer months when Ladakh peak season is in full flow. Similar to what we learned about the best time to travel to Leh Ladakh, in the months January to March, Pangong Tso remains mostly frozen, have extremely cold conditions with no options to stay around the lake except few basic homestays in Spangmik and Man – Merak villages. In April, the lake starts to melt and starts transforming into the beautiful palette of multi shades of blue colors. Then May to September is the peak tourist season. Tourists flock to the shores of the Pangong Tso lake in these months. In this summer period, a large number of birds can also be seen around the lake including the most common Bar-headed goose and Brahmini ducks. Come late September and early October, the tourists start to reside as the cold starts to set in and accommodation tents start to pack up. According to me, this is by far the best time to visit Pangong Tso to see the full glory of beautiful shades of blue color in this lake. The colors are purely magical at this time of the year and with less number of tourists comparatively, you get better deals and enjoy more. After mid-October up to December, all the accommodation packs up and the only nearest place you can stay is either in some homestay with basic facilities to fight the harsh cold or in some guest house at Tangste, about 34 km away from the lake. Tangtse has few guest houses having much better facilities to fight the cold and provide comfort in winter months. If the sun is shining and you do not mind the hard cold winters, then also you can make a day trip to Pangong Tso from Tangste to see magical shades of blue color at this lake. However, do not forget to check the weather conditions before leaving from Leh. You can reach Pangong Tso lake from Leh by road via Karu – Chang La pass. Pangong Lake is also connected from Nubra Valley directly by Shyok Village route and by Wari La pass route. Let us look at the different routes that you can use to travel to Pangong Tso from Leh town or Nubra Valley which will help you in planning your trip to it. You can cover Thicksey, Hemis, and Shey monasteries while going through this route. This route provides the best road conditions of all other routes. So, if you are one of those who prefers relaxing vacation and does not want to rush through places then, I will suggest making a two day trip to Pangong Tso lake via this route from Leh. Of course, I assume your body has been acclimatized properly by staying for a couple of nights in Leh and spending a night or two in Nubra Valley before attempting to sleep near Pangong Tso. If you are short on time then you should make a day trip to Pangong Tso via this route only because it is best in road conditions in comparison to other routes and hence fastest of all. This route goes via mighty Wari La pass, one of the remotest passes of the Ladakh region and takes about 11-12 Hrs again depending upon a number of interim breaks you take. The route is long and rough and hence require you to leave very early from Nubra Valley so that you reach Pangong Tso (Lukung or Spangmik) before the sun goes down. If you are planning via Wari La route then do check the conditions at Agham village before ascending towards it. It is a remote region and you will hardly find any tourist or vehicle going past by you. Hence, in case required, help would be long to find. You do not need any special permit for Wari La pass route and permits for Nubra Valley & Pangong Tso are sufficient for traveling on this route. Do not attempt this route in early season because firstly Wari La might not be open being low on priority for BRO and secondly the roads are not stabilized in the early season. So, being remote place any help might be hard to find. You may carry spare fuel from Leh to cover about 425 – 475 KMs because Deskit petrol pump in Nubra Valley may not have fuel. Well, since 2016, the fuel availability is much better now at the Deskit petrol pump. If you do not find it then you will be covering Leh – Nubra Valley – Wari La – Pangong Tso – Leh without any other petrol pump. This route from Nubra Valley to Pangong Tso goes from Shyok Village and has become quite popular among tourists with less number of days in past couple of years, as of 2018. It is much shorter than the Wari La route, takes about 6-7 hrs from Nubra Valley to Pangong Tso and hence will save more time and energy. But, again there are some landslide prone stretches on this route and sometimes you may have a couple of nasty water crossings to tackle. So, leave early in the day from Nubra and confirm about route conditions at Agham village. If you are alone, it is better to wait for few vehicles at Agham village to tag along with them. You do not need any special permit for Shyok Village route and permits for Nubra Valley & Pangong Tso are sufficient for traveling on this route. You also need to carry spare fuel from Leh to cover 350 – 400 KMs because many a times the petrol/diesel is not available at Diskit, Nubra Valley petrol pump and you will be covering Leh – Nubra Valley – Wari La – Pangong Tso – Leh without any other petrol pump. Secondly, Tso Moriri is higher in altitude than Pangong Tso. So, as per acclimatization schedule, you must stay at Pangong Tso before spending a night at Tso Moriri. However, for the informational purposes, you can go to Pangong Tso from Tso Moriri directly via the remote and ever beautiful Changthang region. The drive between Pangong Tso and Tso Moriri is one of the most beautiful drives in the entire Ladakh region. A special permit to cross Chusul is required from Leh DC office in order to travel on this route. Though highly unlikely but if at all you are doing in this order then you also need to carry spare fuel from Leh/Upshi/Karu to cover about 600 – 700 KMs because you will be covering Leh -Tso Moriri – Nyoma – Loma – Pangong Tso – Leh without any other petrol pump. The higher ground clearance vehicles are preferable and 4×4 ones would definitely be helpful especially between Tso Moriri and Pangong Tso as well as Nubra Valley – Shyok Village – Pangong Tso route. However, quite a few people do it in hatchbacks and sedans as well which depends upon your skills to drive and road conditions. In general Leh to Pangong lake road condition via Karu – Changla route are good enough for any type of the car including hatches and sedan. It is always recommended to carry important essentials when you self drive to Ladakh. For a comprehensive list of accommodation options or hotels or camps around Pangong Tso lake, you can refer these good stay options nearby the lake. Please keep in mind that starting from 2018, LEH DC has issued a ruling to vacate all of the illegal Pangong lake hotel and camps. Make sure you double check with your hotel or camp folks before making the deal. You cannot do camping near the shores of Pangong Tso lake as it a Ramsar site wetland reserve, which means you cannot camp nearby the lake. The nearest basic medical health center is at Tangste Village about 50 KMs from Spangmik village and 34 KMs from Lukung village. You can get basic first aid including Oxygen doses at some of the tents/camps, I guess else you can carry your own oxygen cylinder with you. Being a remote place, you will either be eating in the homestay at Spangmik Village or at the camps/tents you might be staying overnight. 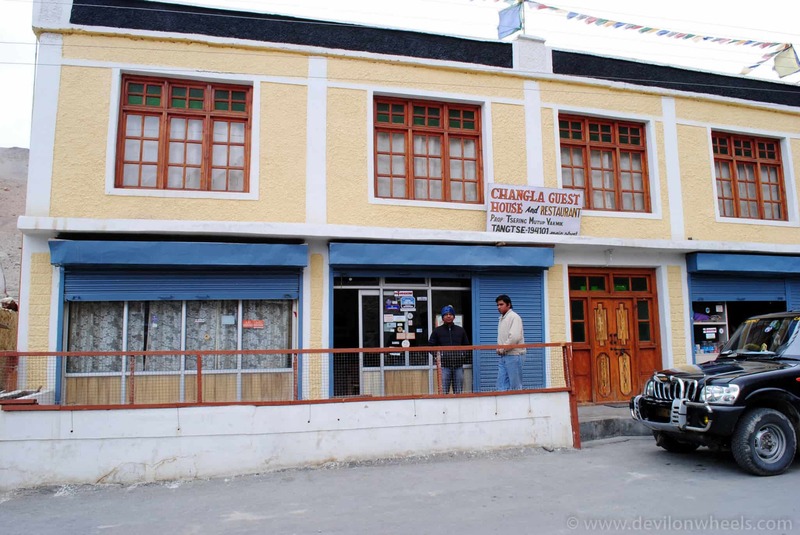 The options of eating places at Pangong lake is fairly limited to road side shacks, home stays and camping sites. Mostly, you will not find any phone or mobile signals at Pangong Tso lake. However, there is a BSNL tower setup at Lukung as of 2018 and it does work many times. You need to carry postpaid BSNL or MTNL connection to get some connectivity in Ladakh. Nearest Petrol Pump is at Karu about 135 KMs from Pangong Tso and comes on the way to Pangong Tso from Leh. I will suggest that you top-up the fuel from Leh itself and then drive/ride up to the lake. You will not find any ATMs near Pangong Tso lake and hence, it is always better to carry cash from Leh (the only place where you find ATM in Ladakh) itself. Let us look at some of the most frequently asked questions about Pangong lake. In case I have missed to cover any question in this article, feel free to give me a shoutout and I will answer and add to this list. What is the taxi fare for Leh to Pangong Tso? As per taxi union rates of 2018, Leh to Pangong lake taxi fare is Rs 10566 for a two day trip and Rs 8653 for a day trip to Pangong from Leh. Can I travel from Leh to Pangong Tso by bus? There are two buses that travel from Leh to Pangong Tso every Saturday and Sunday of the week. The Leh to Pangong Tso bus leaves at 6.30 AM on every Saturday and Sunday from Leh bus stand. You can read all about Leh to Pangong lake bus service. 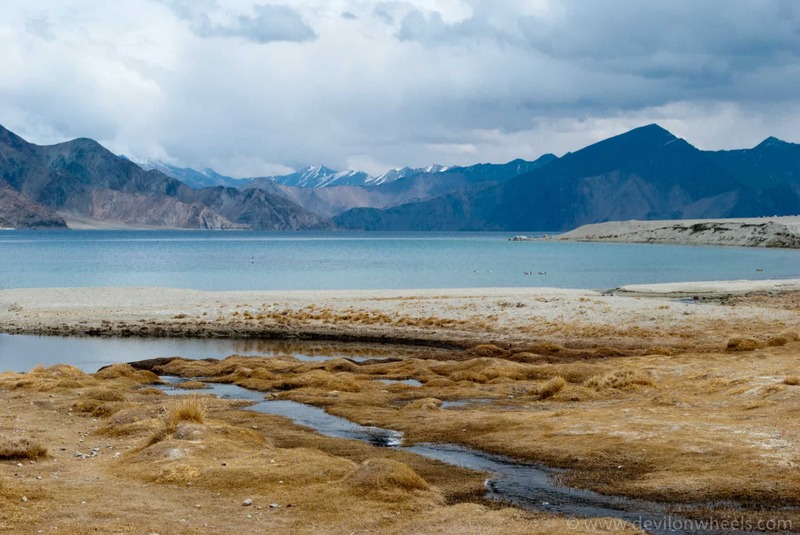 Pangong Tso lake is a great place to visit and I am sure if you visit Ladakh, this one surely is not the place you would like to exclude from your trip plan. 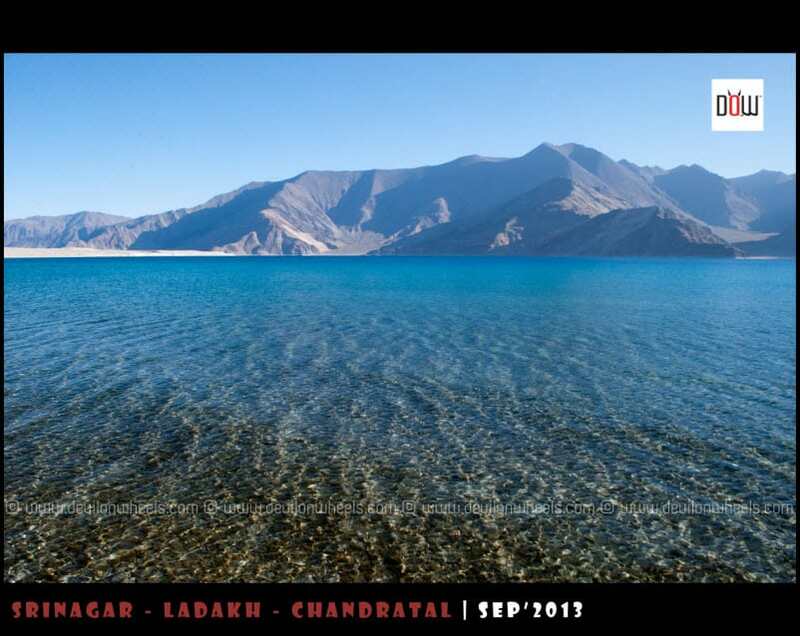 I hope the information in this Travel Guide for Pangong Lake in Ladakh will be useful for your upcoming Leh Ladakh trip. It is a humble request that you help in not making a Pangong Tso an environmental disaster. Please feel free to post any questions or doubts you might have in planning your trip to Pangong Tso in the comments section below. If you have been to this beautiful place, kindly share your thoughts and other information you might feel will be worth sharing with other fellow travelers and prove helpful to them. Thank you very much in advance for providing most useful information. I’ve got clarification for most of my doubts by looking at your blogs related to Leh-Ladakh journey. But need clarification on one thing. We (4 people) are visiting Leh from 4th to 8th June on bikes. We are planning to take direct route from Nubra velley to Pangong lake via Agham Shyok road. 1. How is the road condition in this route. I heard that, the road is better in recent years. Also can we make it with rented bikes? I hope you meant July, the road from Nubra to Pangong Tso via Agham – Shyok route is pretty much fine this year. Thank you Dheeraj for the reply. It was a mistake. It is July 4th to 8th. HI, I m going to leh on 31 july on flight and my return flight is on 7 aug, can u suggest me best itenary for 7 days/nights in leh. Are you flying in to Leh? 10th june.try to reach leh. now we have to complete the trip before 19t june. I’m coming on 11th May morning at 07:00 am at leh air port and back on 14 th May 07:00 am.what can I see beautiful place in this three days? Please guide me. Dashrath, best will be to take rest in Leh in first two days and then make a day trip to Khardung La top on Day 3. We are a couple in leh right now. Im planning to visit hanle(on share taxi), but no one is here to wish to go. 2*Im having normal permit.Then if i go can able to view the sky through the telescope..
3*Preferrable time to be in hanle..
2. You have to get Hanle permit from DC office and you will not be allowed to see the sky using telescope. Me and my wife are planning to visit Leh during 29 Sept – 03 Oct.
Day 1: Reach Leh. Take rest or local sight-seeing by foot. Day 2: Local Leh sight-seeing by a cab (mainly the monasteries and/or the Leh palace). Day 3: Diskit, Nubra. Stay at Nubra. Day 4: Nubra to Pangong. Stay at Pangong. Day 5: Pangong to Leh. Please share your views regarding the above itinerary. Also, is it possible to book a cab for the entire trip after reaching Leh itself ? Will it be comparativey cheaper ? The plan posted above is completely doable. Yes, you can book the taxi on the spot. For the leh – ladakh taxi union rate list 2017 – 18 including the contacts of some reliable taxi drivers within Leh – Ladakh, check the link here. You can get about 12-15% of discount by directly getting in touch with drivers and of course, talking in person rather on phone always help in bargaining more. You can call the local drivers directly to connect with them and check the more comprehensive List of Taxi Drivers for Ladakh – Srinagar – Leh – Manali with recommendations/reviews for DoW community members. Thanks a lot for your input Dheeraj. Just wanted to clarify, whether it is advisable to stay at Hunder instead of Nubra on Day 3 and then continue from Hunder towards Pangong on Day 4. Hunder is in Nubra Valley only and better place for stay than Deskit in terms of scenic beauty and closer to nature. Day 1: Fly in to Srinagar. 1) Will it be better to stay at Drass in 2nd day itself, considering the height of Drass is more than Kargil? 2) Do you think Day 3, leh sightseeing can be a skip to accommodate Tso kar & Morey Plains? 4) Is it possible to cover Tso Kar & Morey Plains in the above itinerary? What would be the best option to cover? 5) Apart from Leh, no stay is booked, so we have the flexibility to change plan. Looking through lot of websites and finally found this one. Even though it is very late, your inputs might help us. We are a couple flying directly to leh. Landing on 11th of July, spending a day there. Then on 12th July traveling to nubra Valley staying there and going back to leh on 13th July. 14th July going to pangong starting there and cooing back to leh on 15th July. Will this plan is easy to execute? 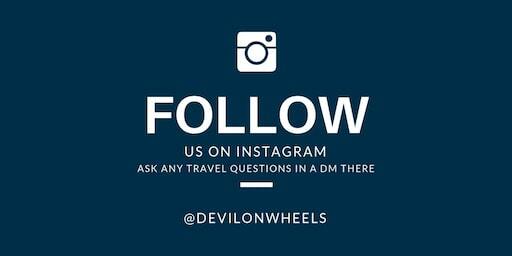 Also please help us in places to visit along the way to nubra Valley and pangong. Thank you so much for your inputs.. It is really helping us now..
Last I heard the road was blocked last week. The road conditions are bad to average. I will recommend checking the conditions after reaching Agham village and then taking a decision. I am just home after travelling through Nubra-Shyok-Pangong Tso. The road is officially closed but we went ahead. Except for 2-3 occasions when we had to get off the vehicle and put in some stones in the mud to get going, the road is totally fine. You would have first obstacle based on the status of July 4,2017, about 23 KMs before Agham village and then another 2 after 10 Kms from it. First of all, thank you for all your helpful advice ! I have planned to visit Ladakh from the 2nd of July till the 8th and I have some questions. 1. On the 3rd of July, I’d want to visit the Hemis monastery during the festival, is there a bus from Leh to go and return in one day ? 2. I have planned to rent a bike and visit the Nubra Valley for 2 days and stay one night in Diskit before coming back in Leh, is 2 days enough to do that ? 3. I booked a night in Spangmik on the 6th but I don’t know yet how to reach Spangmik from Leh. What is the best option to go there when you are travelling alone ? Thank you again, and I hope you will be able to answer my questions. 1. Not really on a daily frequency, you may need to rely upon shared taxis running from Leh during festival time or hiring a bike or private taxi. 2. Yes, two days is fine to cover Nubra Valley. Just stick to Hunder and Deskit only and skip other places of Nubra Valley to have a relaxing ride. 3. You can either opt for a shared taxi of tourists which would be available through agents or banners/flyers posted in cafes or restaurants in Leh. Or else take the rented bike as you are already doing Nubra on rented bike. Your well researched inputs are highly helpful for travellers like us and makes a great deal of difference when so many doubts are dispelled. We have resorted to your pages again and again during our course of planning. We are a group of 7 travelling to Leh via srinagar during 29.07.2017 to 06.08.2017. Day 1, 29.07.2017: Reach Srinagar by noon. Check into Hotel and explore some local attractions of Srinagar. Day 02, 30.07.2017: Morning After breakfast leave for Kargil, by visiting Sonamarg, Zodjila pass, Drass Village, Kargil war Famous Peaks (Tiger, Tololing) from Vijay war memorial hall site, reach Kargil by evening. Overnight stay at Kargil. Day 03, 31.07.2017: Morning after Breakfast leave for Leh, enroute visit Mulbek, Giant Living Buddha Sculpture on Rock Mountain, Lamayuru Monastery of Ladakh and enjoy the view of Moon Landscape. Reach Alchi, visit Likir Monastery, Magnetic Hill, Pathar Sahib Gurudwara, Kali Mata (Temple of Guardians in Spituk monastery) and Hall of Fame museum. Also visit Sangam (confluence of Indus & Zanskar Rivers)Reach Leh by evening. Overnight stay at Leh. Day 04, 01.08.2017: After Breakfast do local sightseeing at Leh by visiting Hemis, Thiksey Monastery, Shey Palace,Stok Palace Museum and visit to Shanti Stupa.. Overnight stay at Leh. Day 05, 02.08.2017: After Breakfast leave for Tso moriri via Tso Kar covering Chumathang hot springs, Mahe and Puga Sumdo. Overnight stay at Tso Moriri. Day 06, 03.08.2017: After breakfast leave for Pangong Lake via Noma, Lyoma and Chusul . Enjoy the color changing lake and the sun set on the banks of lake. Overnight stay on the banks of Pangong Lake. Day 07, 04.08.2017: Early morning enjoy the view of Sun rise on lake. After Breakfast drive to Nubra Valley via Chang La and Wari La. Arrive at Hundur by late afternoon. Explore Deskit, Sumoor, Hunder Villages and camel Safari in Sand Dunes between Deskit and Hunder Village. Overnight stay at Nubra Valley. Day 08, 05.08.2017: After Breakfast visit Turtuk and Deskit Monastery while heading back to Hunder and drive back to Leh by crossing Khardungla Pass. Overnight stay at Leh. Day 09, 06.08.2017: Transfer to the airport and fly back to Home. Wanted to confirm with you if this is okay and not cramped or not doable as we have planned in consultancy with a local contact that we were referred to (Mr. Arif Khan, tour operator/ driver). Further, we have booked accomodation at Srinagar and Leh so far. Is it okay to not go for advance booking at the other locations, namely, Tso Moriri, Pangong, Hunder and rather rely on spot booking as any uncertainity of weather/road may render a change in the itenerary. How would be the road conditions in Pangong to Agham trip via Wari La? We are travelling by Xylo. How cold it would these locations be(for packing related concerns) during our travel time i.e. July 29th to 6th Aug? This is not how Ladakh trip is planned. You must follow the acclimatization schedule to some extent by doing Nubra, Pangong Tso, Tso Moriri in that sequence only. So, please reverse that leg. You will also needs inner line permits in Leh as well. So if one can go directly from Nubra to Pangong, Let to Tso Moriri is even lesser of a difference in altitude. Moreover, we are giving 2 days for Srinagar to Leh and further 1 more day at Leh for acclamatisation. Please drop that tour operator in that case as he is not even knowing basic principles of acclimatization. You may have ended up in hospital after spending the night at Tso Moriri directly. No its not enough. High altitude starts around Kargil and then as you move beyond Kargil. So, about 36 hrs are required for acclimatization in Leh. Hence, you must rest the night you reach and next night in Leh only. Then do Leh to Nubra, Nubra to Pangong and Pangong Tso Tso Tso Moriri in that very sequence. Even after using the above schedule it is not possible to acclimatise properly and people face issues because even this change in altitude does not comply with acclimatization rules. We are planning for family tour 4 adults + 1 child 6 years age and have following itinerary in mind. Can you provide your feedback on this itinerary is doable? I don’t want to return back to leh after visiting Nubra Valley or Pangong lake instead continues moving one place to other. Also can you suggest tour agents to organise this. Considering you are traveling with family the plan above is very hectic and it does not even include a day of acclimatization and rest in Leh before moving to Khardung La. Road from Nubra Valley to Pangong Tso is quite desolated, so make sure you have company to tag along before you take this route as any mechanical failure will mean, you are stuck there and help will be no where to find. 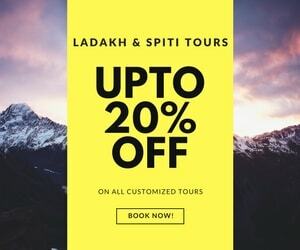 If you are looking for competitive and customized Ladakh tour and packages, you can connect with [email protected] as most of the readers in the past couple of years have had very good feedback about them and especially their transparent policies along with being there with you all the time in need. So, we trust them the most. You can refer my name or DoW to Gaurav, the guy who runs it. He knows us very well and should be able to offer some special rates being a DoW Member. You can just refer him the DoW Community Member Username in such a case or screenshot of this reply here. Firstly thank you so much to you for putting all the information together here in DoW. 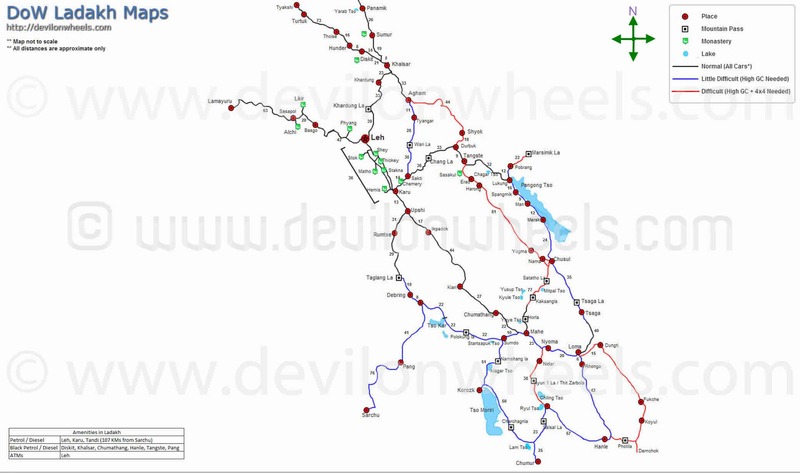 We made our draft plan for the upcoming leh-ladakh trip with the help of DoW & other sites. So thanks once again for such kind help. 1) We contacted Regzin bhaiya(all thanks to you for providing details). He is really kind enough while I was talking to him. He is so kind that he told he dont want any advance for the booking. That’s why I am worried (Note: I am not doubting him). How he can remember our dates?! He just told me to send a message; but how can he remember our plan which is far away!! please guide. 3) More or less we have finalsed our stay at leh which is Tukchu Guesthouse. But could not finalize stay at Kargil, Nubra & of couse Pangong. Please suggest some home stay kind near kargil & nubra. requirement is should be clean, hygiene but easy for pocket. 4) If any changes is required in planning? 2. It will be cold in September but manageable. You can also try Himalayan Wooden Cottages being of plywood, they save a bit more from the wind. Thank you so much for your reply. Actually we are going as couple, so was wondering if Regzin bhaiya forgets & committed to other parties also or he forgets the rate at which he accepted. Again I am telling I am not at all doubting, so many readers feedback cant be just wrong. But its natural human tendency that he may forget the dates or rates. So on that case what will be solution? Do you think I can get other recommended cabies of DoW on spot there in september?? Now, coming to pangong.. Do you think it would be great miss if we dont stay in a camp? I mean I do understand that its different experience, but don want to spoil the trip for any health issue! Yes Pralay, in such a case get the numbers of listed drivers printed with you and call them upon reaching Leh. Mostly it does not happen and to be very frank now a days Rigzin has 3 cars, he can’t drive them all so in case he is not coming he will send one of the car to you for sure. But, still carry the printout and you should be good. Yeah, I will say it is OK to miss on part of health issues. If you stay at Tangtse you can head back again in morning if required. Finally made the deal final with Rigzin, & hoping for a great time. Dude can you please help us for the stay option in Kargil. Looking for a budget but clean stay. Most of the hotel range is Rs 2500-3000 & above for two(incl breakfast & dinner). is it possible for a stay at 1000-2000? Or else what do you say, shall we try to stay at drass?? 1) Will Pangong Lake be frozen in the month of June. I have few friends went last year in the end of june and they said that it was little frozen. 2) From Pangong, i would be heading to Sarchu, so i need to stay somewhere in between, probably in Upshi or Rumste(Don’t want to go back to Leh). Do you know contacts in Upshi or Rumste? 1. Not really, it starts to melt in May and gets mostly melted by June. 2. Well, best will be if you want to stay on Manali – Leh Highway, you can easily reach now Pang considering good roads between Pang – Moore Plains – Taglang La – Upshi. So, try to head to Pang. My tickets for leh is booked for march 23rd and would be back by 29th. Am heading for Dha and hanu. Followed by pangong tso. Will the road to pangong be open during this period? Barring few days of heavy snowfall BRO keeps all roads in Ladakh open. So, in case there is heavy snowfall around the days or on the day you plan to visit Pangong Tso, it will be closed else open. Mid May it is off to Leh. Am still fine tuning the itinerary. Was wondering if it is possible to go to Pangong via Tao Mori and Chusul and approach Khardungla fro Pangong rather than the other way around. Is it doable in terms of roads and approach and also altitude? As per acclimatization principal and general recommendations, you should start from Nubra Valley cover Khardung La and follow the route in direction from Nubra to Pangong Tso to Chusul to Tso Moriri. I recommend it only but in case you want to take a chance with acclimatization and OK to abandon the trip or miss some part in case you or any member fall sick, well, you may attempt it in that case. Thanks Dheeraj. I get the point you are making. Our program is as below. Of course all depends on our coping ability and weather Gods ! I would like the itinerary to evolve as we go there and start to move . Spend more time in Leh and leave for Chandigarh via Srinagar or Manali on 29th to catch flight to Mumbai on 31st from Chandigarh. We are flexible about remaining in Leh or moving on to Dharamshala. so please do suggest more options in Leh. Thanks for the suggestion and will follow it. Makes sense. Turtuk is on the agenda. Great, have a wonderful trip to Ladakh, feel free to post any further questions you may have. I am planning to go Leh , and visit Nubra , Pangong Tso , Tso Moriri, and other nearby places . please advice is this time is ok, i know there will be cold weather. Prasann, it will be too cold to stay overnight in Pangong Tso or Tso Moriri during that time of the year. I will recommend that you put up at Tangtse 34 KMs before Pangong Tso and Chumathang for Tso Moriri. You will easily find the hotel on the spot whichever is open as there will not be too many tourists. Thank you for the info Dheeraj. We are planning to spend more time at Delhi then. By the way, is it doable for below trips? Can we do a day trip to both Nubra Valley and Pangong Tso Lake? Nasri, it is highly recommended that you take ample of rest for first two days in Leh. Then you can make trip to Nubra and Pangong Tso. Both the above trip excluding monastery visit will require 12 Hrs of travel. Better to split them in two two days. and Possibly Kargil is Possible. May kindly suggest the accommodation. If needed, we can stretch the tour by one more day. 1. Is the time between 25 Sep to 15 Oct, 2016 (8 days between the provided date range) fine for travel, I mean as per the weather. 2. I want to bring along my 5 yr old son, is it ok for children to make this trip. What challenges can I face. Anuj, I hope with 8 days in hand you are planning to travel by air to Leh and coming back the same way. Road trip will be very difficult in just 8 days. The sooner you plan, the better it will be as it is end of season by that time. Yes, I am planning to travel by air both ways. Any pointers on point 2. Is it ok for children to travel. HI Anuj, I am Planning to Visit Leh during 6-11 Oct. Will be taking flight from Delhi to Leh and return via same. Pls confirm, if u got some info that if the lake shall be open during the time ? Pls contact at my mail [email protected]. Yeah Pangong Tso is accessible all round the year barring few days of heavy snowfall. I plan to take shared taxi from Leh to Pangong Tso and stay overnight there. Next day, travel back to Leh. My question is Am i able to get shared taxi from pangong tso back to Leh? Print, this year onward, the rules has been eased and as an individual as well you can apply for permit and ride alone. The rule is in effect AFAIK as it was introduced in last month. If not, you can walk to any travel agent in Leh and he will club you with other groups and hand over the copy of the permit to you as well. Then you can ride alone. But, I think you should be able to get the permit alone as well with this new rule. I am planning to reach Leh on 8th sep 2016 at 7.15 Am with my wife. My return flight is on 12th morning . Will you please advise some nice itiniary as wish to visit the famous lake also. But we will like to go as per ur advice. will you advise to go to Pangong Tso on day 3 and come back to Leh on day 4.? Further , can u suggest some good hotel ( 2k to 3.5 K / day or some good home stay as we have in southern India) ? But we have only 4 full days there. 5th we have to back. Hence we have to chose either of the two. I am planning to leave for Leh from delhi on 25th August 2016 by flight. Day 1:- Reach leh morning and rest, arrange for bike, stay overnight. Day2:- Start for Khardung-la and Nubra valley and stay overnight. Day3: Nubra valley to leh back. Day4:- Leh to Pangong tso and stay overnight. Day5:- Pangong Tso to Leh. Day7: roam around hanle and go to observatory and stay overnight. Day 8:- Ride back to leh. Day 9: take rest and Roam around leh. Day 10:- Leave for delhi early morning..
Can you please let me know the if this plan will work or it needs modifications. And what would be the approx. cost of this trip like rental bike 350cc bullet, accomodation,fuel, misc expenses…. (excluding flight tickets). and I am travelling alone, becoz couldn’t find the partners (friends couldn’t join due to there personal reasons). You must have two days of rest in Leh before going over Khardung La to Nubra Valley. So, please plan first two days of acclimatisation in Leh. Rest seems OK. Leh to Hanle will take about 9 Hrs easily. You should add Tso moriri as well from Hanle. Which is better ? 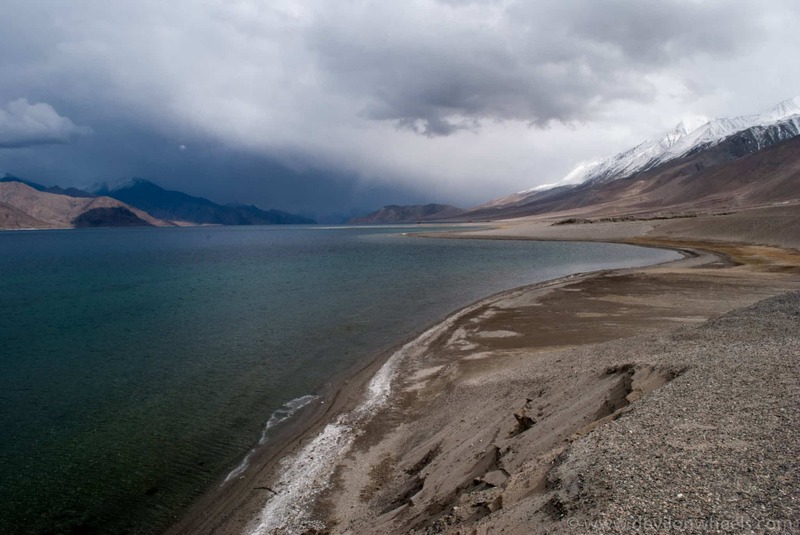 first pangong tso lake or Nubra valley ? Can some one suggest good bike rentals contacts in Leh? I have planned fr 7 days tour with my wife. 1. Round trip to pangong lake is doable or not ? Is there any adventure to explore at pangong ?? 2. Should I get taxi from leh to nubra valley and at what cost. Or is there any other mode of transportation ?? 3. I need bullet on rent while exploring Leh, should I get the same from leh ? I am planning a 7 day trip to leh by flight in mid july. Is this proper? and should i stay 1 night at pangong or nubra i am confused in that. Is overnight bike driving safe from leh to pangong and return.? I am a solo traveller and planning to do a bike journey to pangong and nubra. I have no booking at tsomoriri so i will get a good camp at a cheaper rates like 400-500 reaching der ?? I will request you to drop Tso Moriri, first two days rest and then followed by two day trips to Nubra and PAngong Tso. Else you will fall sick the way you have planned your trip. Tsomoriri I am going by JKrtc Bus on 20th july. Then is it fine ? Also let me know is it safe to drive bike late night from pangong to leh ? No, it’s better to drive in day light. Roads are in worst condition. Hey there, I’m planning on traveling to the area soon and had a quick question. Is the road from Leh to Pangong Tso safe to travel on a motorcycle in late June? Thank you! Is this plan looks practical? Traveling from Pangong lake to Leh then to Nubra valley? and next day from nubra to Kargil? Hi thank you for so helpful information. Please could you suggest if we should really cover Tso morari lake? We are going for Leh ladakh via a tour operator for 10 days (Delhi-Sri nagar-Leh Ladakh-Manali-Delhi) but to cover Tso morari lake he is asking for additional day plus 17k and we are already tight on time. Google maps has much shorter distance times to the ones you’ve stated. For example Nubra Valley to Spangmik via Wari La is 5 hours 40 minutes and 233 kms. I’m assuming they’re incorrect? How long would it take on a motorcycle? Also what is the condition of the Shyok village route nowadays? We’ll be going in early July. We dont have a complete itinerary yet but at this point it’s basically Amritsar – Jammu – Srinagar – Day off – Kargil – Leh – Day off – Nubra Valley – Pangong Lake – Continue on down to Manali. How does this look to you? The distances for each of these legs online are all roughly 4-5 hours. is this correct? Thanks. Yes Alex, they are. Google does not take into account the roads/dirt tracks and speed on it and some part of sightseeing too. I have included a realistic number which is normal when we drive/ride on these trecherous routes.